Each room includes a flat-screen TV and an air inlet, as well as a shower room. A hairdryer and an iron can be requested from reception. You can enjoy a breakfast buffet in the morning, which can be taken in the breakfast room. 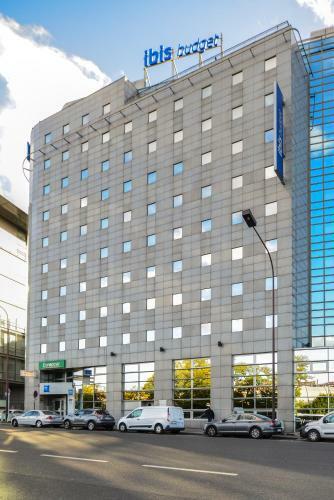 From ibis budget Porte D’Orleans, you can reach the centre of Paris by metro directly. The Parc Montsouris gardens are a 15-minute walk away. You will find a choice of shops and restaurants in the area. Please note that in all Triple Rooms, bunk beds are not made upon arrival. Guests are required to show a photo identification and credit card upon check-in. Please note that all Special Requests are subject to availability and additional charges may apply. Each room includes a flat-screen TV and a private shower. Free WiFi access is provided. Rate: € 68.67 ... € 73.75; select dates below to get current rates. Rate: € 72.57; select dates below to get current rates. Rate: € 70.40; select dates below to get current rates. Rate: € 60.50 ... € 76.00; select dates below to get current rates.